Are you finding it hard to cope with overwhelming feelings? 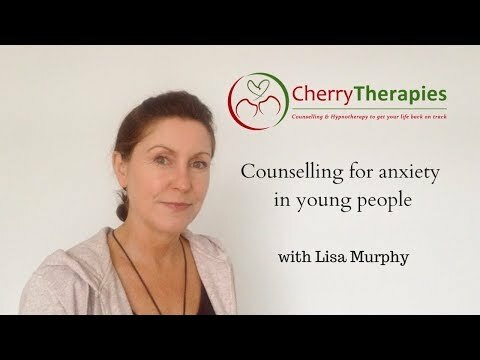 My name's Lisa Murphy and I specialise in anxiety, stress and anger. I draw on a number of natural therapies to help you resolve your issues rapidly and effectively. Get in touch to book your free initial telephone consultation and find out more about how I can help you. I work with adults, couples, and younger people. My practice is based in Cambuslang, in a quiet, comfortable therapy room with plenty of parking space available outside. I'm within easy reach of Blantyre, Rutherglen, Hamilton, and East Kilbride. Telephone and Skype counselling are also available if you're further afield. I have a friendly and gentle approach, and do my best to put you at ease. As well as anxiety and stress, I also deal with many other issues such as relationships, Generalised Anxiety Disorder, low self-esteem, health issues, weight-loss, bereavements and confidence-building. Feeling anxious or uneasy, and not quite sure why? Scared about having an embarrassing panic attack in public, for no apparent reason? Generalised Anxiety Disorder can be a very debilitating and frustrating issue which hinders you from getting on with many aspects of life. Don't suffer in silence - there are natural solutions. Get in touch and find out how I can help you. If you're not quite ready to pick up the phone yet, you're welcome to sign up for my free newsletter, which offers regular tips and advice on how to stay calm, relaxed, and positive - naturally. 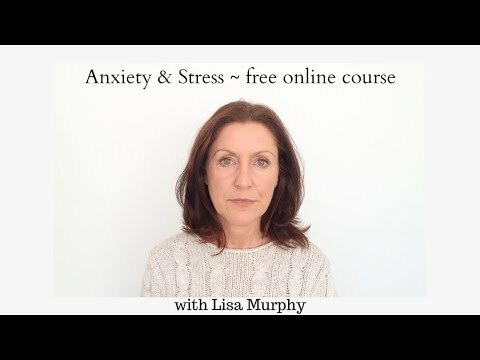 As a special free bonus, I'm currently giving away my 'Beat the Stress & Anxiety' course - it's online, so you can do it from the comfort of your own computer. Hypnotherapy and NLP (Neuro Linguistic Programming) can really speed up the therapy process. Issues that could sometimes drag on for years can be resolved in just a few weeks when we introduce hypnosis into the counselling sessions. For this reason, hypnotherapy represents excellent value for money when it comes to dealing with your problems. Another advantage of using hypnotherapy is that you don't actually have to talk about the issue, if that makes you feel uncomfortable (although you are quite welcome to talk about it if you wish). This is because we are dealing directly with the subconscious mind, rather than simply talking about things from a cognitive standpoint. This makes it very useful when dealing with deeply personal issues that you may not wish to discuss in detail. How much more could you get out of life if your anxiety wasn't holding you back? Could you do better in work? Would your relationships be easier? Would your health improve? Do you sometimes wish you could just press the 'reset' button on your brain? Anxiety keeps us from doing so many things that we could be enjoying in life, and it can be resolved easily and quickly with the right therapeutic approach. During this course I will help you to quickly get to the root of your issues, resolve, and release them. You will learn to think differently and be more relaxed, positive and optimistic about all aspects of life. Stress is becoming one of the biggest killers in modern-day society, leading to a myriad of problems such as high blood pressure, headaches, and insomnia. 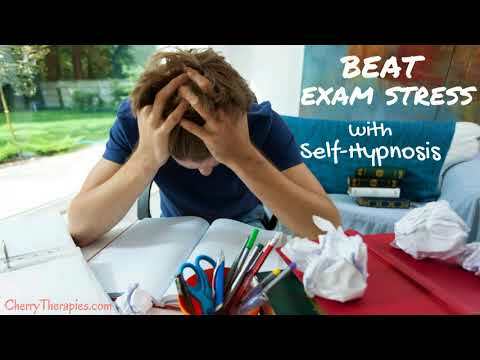 Hypnotherapy is the perfect antidote to stress, as it is a deeply relaxing therapy. Think of it like a massage for the brain. During this course you will learn self-hypnosis and mindfulness, so you can relax yourself at any time, wherever you are. You will gain more focus and clarity of mind, which leads to higher achievements in all walks of life. This course also includes a practical element, helping you identify the issues in your life that are causing you stress, and work towards ways of combatting them. Studies have shown that chronic pain is often caused by Adverse Childhood Experiences (ACEs). In other words, if you have suffered from a bad experience during your childhood, it could have affected you so badly that you continue to suffer for years afterward, and this can lead to physical symptoms which are often difficult to explain from a medical standpoint. During this course we go back in time using hypnosis and identify the original trigger point for your pain. Then we safely release it and re-program your emotions with positivity and self-love. I am trained in a cutting edge hypnotic method called 'OldPain2Go'. This method allows you to connect directly with your Unconscious Mind, asking it to 'turn off' pain signals that are no longer necessary or relevant to your current life. People with chronic pain are often very driven, and put everybody else's needs before themselves. A very important part of this course is the practical element, in which we will work to change that part of you that feels guilty about putting yourself first. Self-care is so important, and when we don't look after ourselves sometimes our body has to scream very loudly to get our attention! This weightloss program is a very effective way to lose weight naturally, with no operations or medications needed. Simply sit back and enjoy the relaxing power of hypnosis as your mind and body are re-programed to enjoy healthy, appropriate sized meals. Be warned though - this course is only for those who are highly motivated to lose weight - you have to take action too! You will receive a handbook with instructions, and it is important that you set aside at least 20 minutes each day to listen to a self-hypnosis MP3. This course is for you if you can't seem to stop yourself from reaching for that chocolate or packet of crisps, and you'd love to crave healthy food instead of junkfood. Available as a home-study course, or with one-to-one support. Are you at a crossroads in your life? Facing a big transition and not sure where to turn? This course will take you on a journey back to the past, and forward to the future, giving you deep insights into what your real purpose is in life. We will use hypnosis and energy healing to help you to connect at a deep level, and truly 'find' yourself. Can you imagine what your life would be like if you smashed through all your limitations and reached your true potential? The sky's the limit, quite literally! This course is for you if you want to increase your confidence, raise your self-esteem, and simply do BETTER at everything in life. I have a friendly, informal style and I do my best to put you at ease, because I realise that coming to counselling can be quite a daunting experience for many people. I adapt my approach to suit each individual's needs, whether that is simply a gentle listening ear, or a more solution-focused style. If you wish I can include a practical coaching element - for instance clients who come for weight-loss sometimes ask for coaching on how to eat more healthily, or hypnotherapy to help with food cravings. 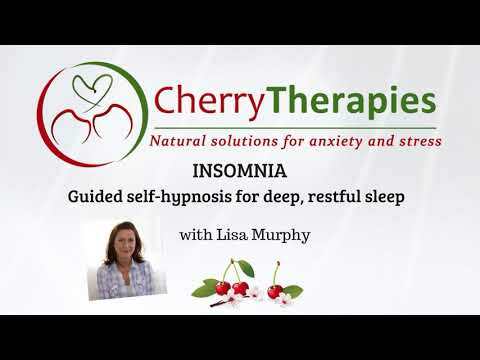 Or if you have problems with anxiety or stress I can teach you many easy practical techniques to help relax yourself. I am very interested in holistic health; over the years I have adopted a healthy natural lifestyle which has helped me to feel increasingly healthy and full of energy. I have followed a 'rawfood' diet for many years and I am often to be found in the kitchen creating smoothies, juices, and other raw concoctions. I am also a qualified Yoga teacher and Reiki Master. I have also worked for many years as a professional singer, which is why I love to help people gain confidence to use their 'true' voice, whether that be for singing or speaking in public. If you are interested in working with me, contact me via this site, or call 0791 240 8830, to book a free no-obligation telephone consultation to see if I'm the right counsellor for you. If I am unable to answer please leave a message (or send a text if you prefer) clearly stating your number or an email address where I can reach you. 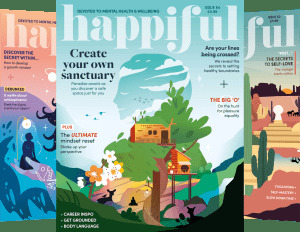 If you don't quite feel ready to contact me just yet, you are welcome to stay in touch by signing up for my free newsletter at http://eepurl.com/dtjGy5 for regular emails with lifestyle tips, and updates on future courses and special offers. With this newsletter I'm currently giving away my 'Beat the Stress & Anxiety' online course as a free bonus. Fees and course duration reflect the amount of support you require. Please get in touch on 0791 240 8830 to book a free consultation and discuss which program is best for you.